IP Telephony - TBL Telecom Inc.TBL Telecom Inc.
TBL Telecom offers unique and robust Unified Communication solution (UC) that brings together IP Telephony and computer integration applications such as OCS, LYNC2010, outlook, Tapi, along with video conference and collaboration. Our company philosophy is also base around delivery of robust and reliable solutions that meet minimum of (5) nines, 99.999% system network availability. Small or big, we have a solution for you! Regardless if the need is from 5 to 10 users or up to 20,000 users scattered across multiples sites (up to 500), TBL Telecom’s UC solutions are designed to address the needs of every customer regardless of their size. In deploying new cable infra-structure for a new IP Phone systems, a key questions always come back, what is best? Built on our powerful IP phone system, Mitel rich media, advanced mobility, and presence features simplify communication. Connect your business with a solution designed to meet your ever changing needs – with integral business productivity applications and wireless mobility – all built on a common network platform that helps connect all users, wherever they may be. Today’s business need to communicate efficiently and ensure the technology in place will be able to address all the future communication needs. 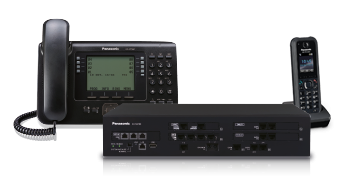 Ready for convergence, Panasonic’s modular architecture and advance SIP technology allows the KX-NSX IP PBX (Hybrid) to provide smooth transition to full IP environment. Robust and reliable is also part of Panasonic’s philosophy to offer peace of mind to the customer. Unified communications is a term that refers to the integration of a variety of typically disparate systems, both fixed and mobile. 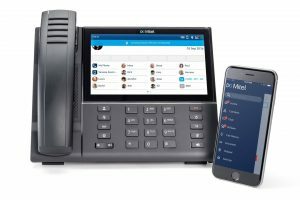 Possible media and applications that may be integrated into a unified communications system include e-mail, voicemail, fax, instant messaging, mobility (intelligent phone), audio conferencing, video conferencing and web conferencing. The main advantage of merging such systems into one single environment is that you end up with an easy-to-use, effective and comprehensive communications experience. In addition, by streamlining a number of components into one system, users can enjoy a fully coordinated, real-time experience offered in a preferred method and at a preferred location. 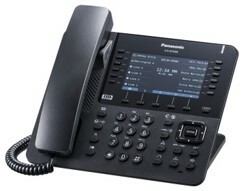 Of course, using unified communications in today’s business world also has many other advantages. For example, the sophistication of integrated conferencing and communications tools allows users to locate colleagues and to identify their preferred method of communication. Coworkers and clients can connect instantaneously and in a direct manner, allowing ideas to be articulated and issues to be resolved quickly and conveniently. Perhaps best of all, this form of information delivery greatly reduces travel costs as well as time delays, so you can make the most of your resources and focus on other aspects of your business.